Future made his first performance at the 2016 MTV Video Music Awards on Sunday night at the Madison Square Gardens in New York City. The Atlanta rapper was introduced by legendary swimmer Michael Phelps who is fresh off winning five more gold medals at the Rio Olympic games. “There’s no rapper more inspiring today than Future,” Phelps told the audience. 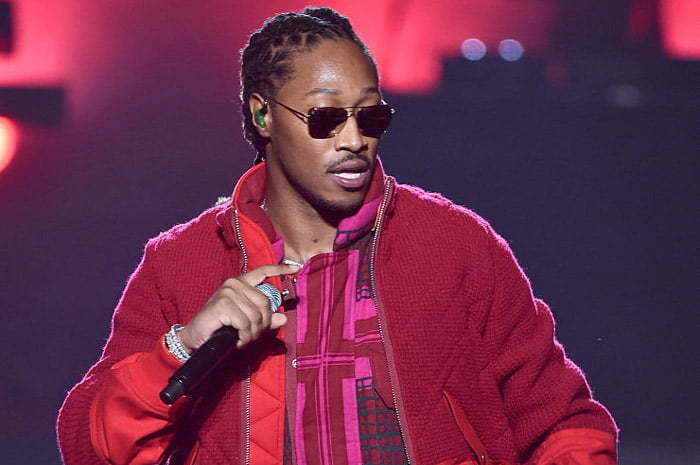 Decked out in dark glasses and a red jacket, Future kicked things off with his 2015 smash hit “F*** Up Some Commas.” He also had the company of some dancers who held things down while he delivered his set. Future is currently touring with Drake for their joint Summer Sixteen Tour. This is his performance performance at the MTV VMAs. Future is getting ready to drop his Freebandz mixtape Forever or Never.